Round stainless steel silver-tone case. Deployment clasp with double push button closure. White dial face features Roman numerals, silver-tone hands, date display window at 3 o'clock, and minute track at perimeter. 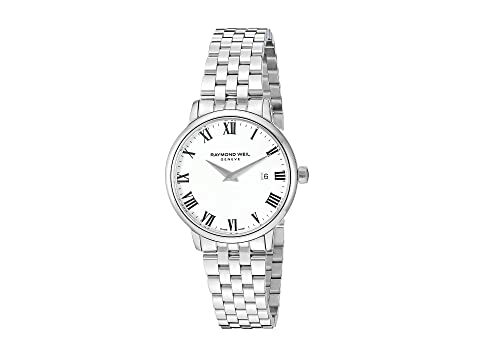 We can't currently find any similar items for the Toccata - 5988-ST-00300 by RAYMOND WEIL. Sorry!